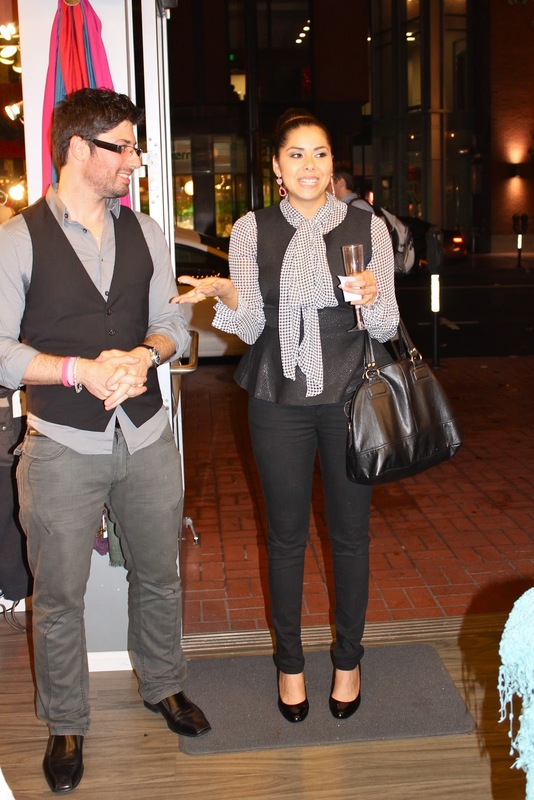 This past Friday, I had the wonderful opportunity of co-hosting a San Diego Style Blogger Meet-Up at Bubbles Boutique in downtown San Diego. It came down to the wire in picking this outfit because it was chilly and rainy out, plus I had the pre-event jitters and I couldn't think straight! 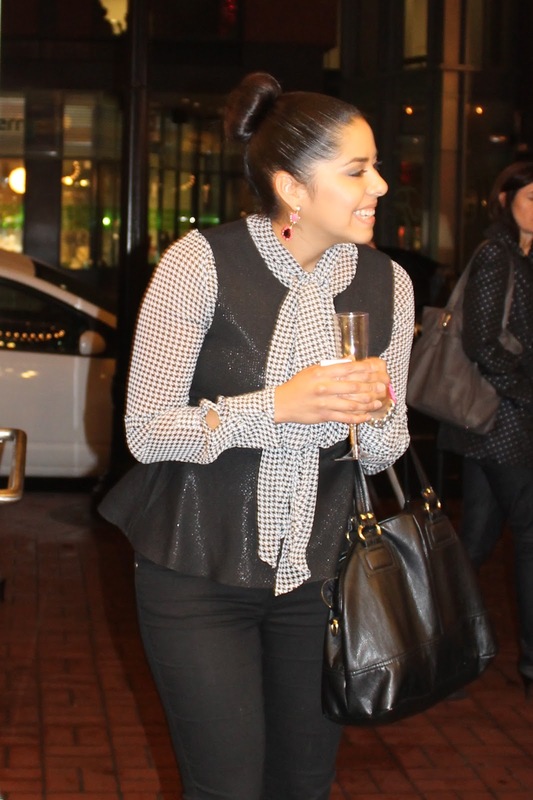 I finally decided on this houndstooth tie-front top (previously worn here) and layered this sparkly peplum top which I love! I added these hot pink dangly earrings to give it a tiny pop of color and some black skinnies for comfort. Despite the rain, we had a great turn out of bloggers! Vava Vida, local designers and the Bubbles boutique staff were on hand to show us their gorgeous products and also treated us to goodie bags and raffles. It was so great to mingle and connect with fellow bloggers! We were supposed to finish up around 9 p.m. but the event ran until 10 because we were all having too much fun! I want to thank all of the great people that came out to support, as well as my SD Style Blogger partner Rachel who was there in spirit (you were greatly missed!) 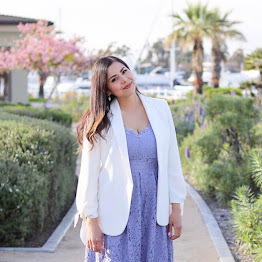 Don't forget to check out our San Diego Style Bloggers website here for more pictures and tid-bits! Vanessa, Jennifer and I sippin' and mingling! Chatting it up with the always fun Lua! With Nahomi, and Erika sharing the cute earrings courtesy of Bubbles! I also want to thank my girls Jessica and Erika a.k.a. "primager" who helped me a great deal by taking pictures, supporting and mingling! Love you girls! Wow, looks like such a fun evening with so many stylish ladies! LOVE your outfit! Love the printed top underneath the peplum. You look really chic! Looks like fun good job putting that event together! I love your candid shots very chic! Look like such a fun event! You girls looked fab! This looks like so much fun! I love how you styled this look! So much fun! All of you look so fabulous!! The event looked like so much fun! I adore your smile:) Loved your outfit love. looks like a great time! blogger meet ups are fun :) looking fab! This looks like such an amazing time, so sad I missed it! Your outfit is so chic and I love that 3rd photo of you! Looks like it was such a fun event! It's so fun to get out and mingle with other bloggers. Do you ever go to events in L.A.? Love your layered tops, you look ultra stylish!